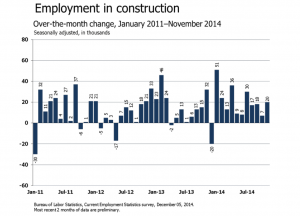 Construction employment continued to trend upward with the addition of 20,000 jobs in the month of November. 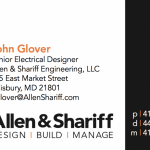 Specialty trade contractors significantly increased employment by 21,000. 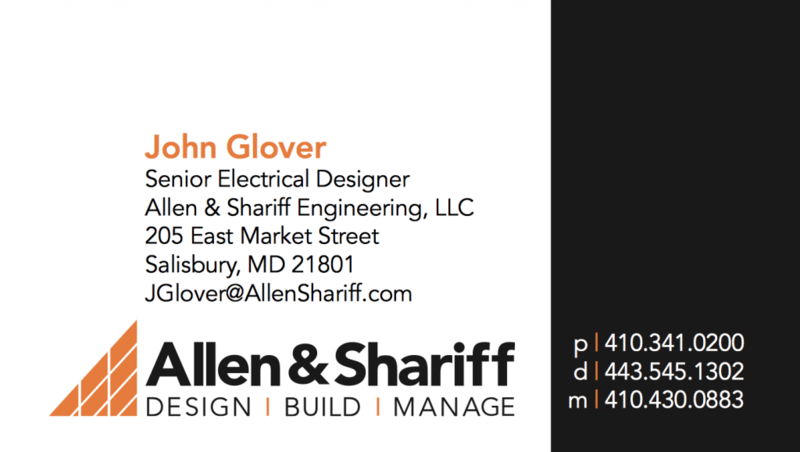 Residential specialty trade contractors accounted for 13,000 of the job gain. 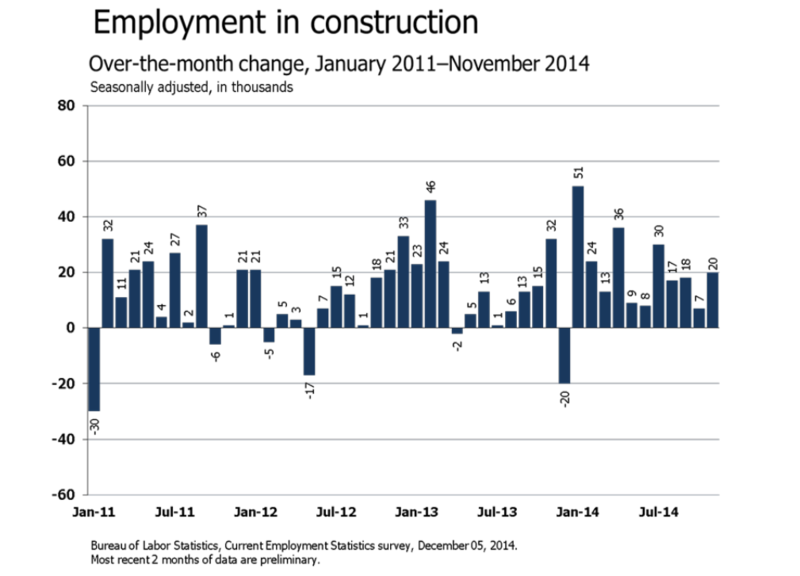 Total construction jobs created and reported in 2014 thus far is 233,000. 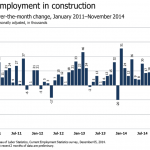 Nonfarm employment increased by 321,000 in November. Job gains were widespread. The diffusion index over a 1-month span increased to 69.7 from 63.8, indicating that more private- sector industries added jobs in November than lost jobs. The largest employment gains occurred in professional and business services, retail trade, health care, and manufacturing. The employment change for September revised up from +256,000 to +271,000, and the change for October revised up from +214,000 to +243,000. Incorporating these revisions, employment has increased by an average 278,000 per month over the latest 3 months. Over the month, average hourly earnings for all private-sector employees rose by 9 cents or 0.4 percent, following a 3-cent increase in October. Hourly earnings are up 2.1 percent over the year. Average weekly hours edged up by 0.1 hour to 34.6 hours in November.